The homestay experience can be the most rewarding part of your time abroad. It is the best way to learn French, gain a unique and personal insight into French culture and integrate into the local community. Many students keep in touch with their families after they return to the U.S. All families are carefully chosen and have to meet high standards in order to be a part of the homestay program. All homestay students are given their own key so they can come and go as they choose. Meals Breakfast and dinner are provided daily by the family and lunch can be purchased inexpensively at the cafeterias on the University campus. Students who wish to live more independently can opt to stay in a student residence for a supplemental fee of $550. You will share a room with another student and have access to a shared bathroom and kitchen. Meals Meals are not included but you can prepare your own meals in the residence’s shared kitchen and will receive a meal allowance worth $1,000 to subsidize the cost of purchasing meals and groceries. Students can choose to opt out of the meal allowance and pay a reduced program fee of $17,545. All students are provided with a travel pass for use on Grenoble’s bus and tram system. You may be asked to pay a small additional fee for some of the activities above. Skiing in the Alps Grenoble is the French capital of winter sports and has hosted the Winter Olympics. Downhill skiing is available just 45 minutes from the center of town. Students who have never skied before may take lessons at a reasonable cost. Ski equipment (boots, poles and skis) may be rented easily and inexpensively. Wine appreciation and cooking courses are also available for an extra fee. AIFS can help you to arrange local volunteer opportunities such as assisting students with English conversation practice in an elementary school or high school, and working with local charities. The American Corner is an organization which is sponsored jointly by the U.S. Embassy and a host country organization. The fundamental function of the American Corner is to make information about the U.S. available to people in foreign countries through multimedia, conferences, reading rooms and contact with U.S. citizens. Volunteer opportunities are available here for AIFS students. AIFS can also provide students who may be planning a career in education after studying abroad with information about the TAPIF (Teaching Assistant Program in France) scheme which is organized by the French government. For more information contact the AIFS Admissions Officer. Bonjour! After obtaining my degree in England I joined AIFS in the London office in 1989. I moved to France in 1990 and have been the Resident Director here in Grenoble since the fall of 1994. I&apos;m here to provide support, encouragement and a friendly face to you during your stay in Grenoble. I know a great deal about the culture, language and lifestyle of France and am looking forward to sharing it with you! I choose the families with whom AIFS students stay with great care. When I am not working, I love swimming, participating in local activities and enjoying French cuisine. I am also a bit of a traveler myself, I spent a year as a volunteer and teacher in Zambia, Africa. 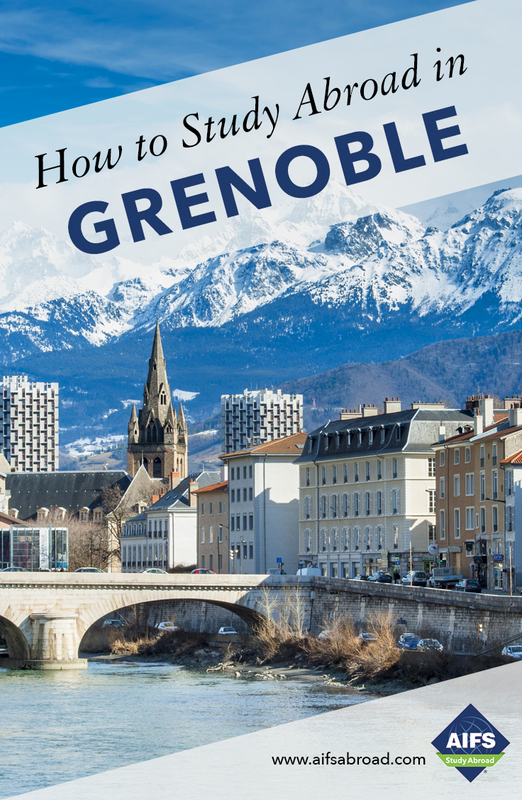 You&apos;ll find Grenoble to be a wonderful city and I&apos;m here to help you out with any questions you may have. The office is in the center of town&endash;feel free to stop in at any time.